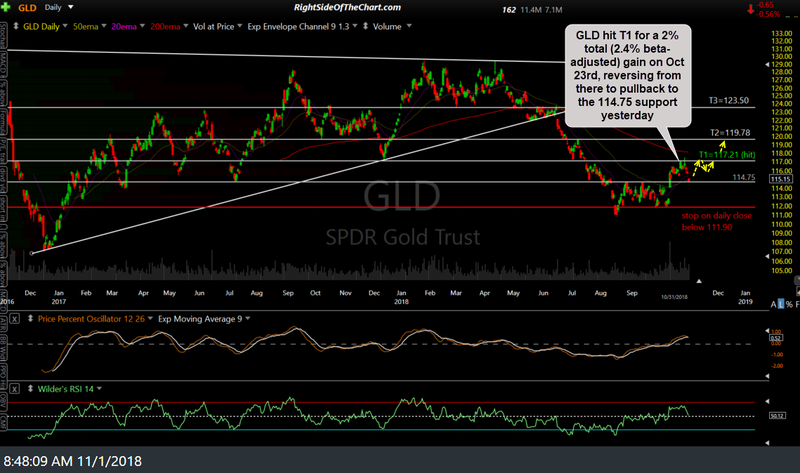 The GLD (gold ETF) swing trade hit the first price target, T1 at 117.21, for a 2% total (or 2.4% beta-adjusted) gain on Oct 23rd, reversing from there to pull back to the 114.75 support yesterday. Previous & updated daily charts below. 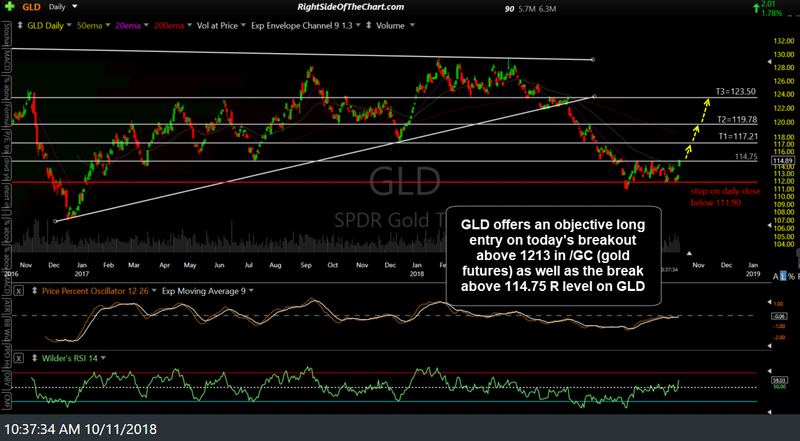 I’ve mentioned GLD hitting T1 in recent updates but haven’t yet posted an official front page update until now. Ditto for the recent SAFM official trade, which was recently stopped out after hitting & reversing off the first price target. SAFM will be updated in a separate post. 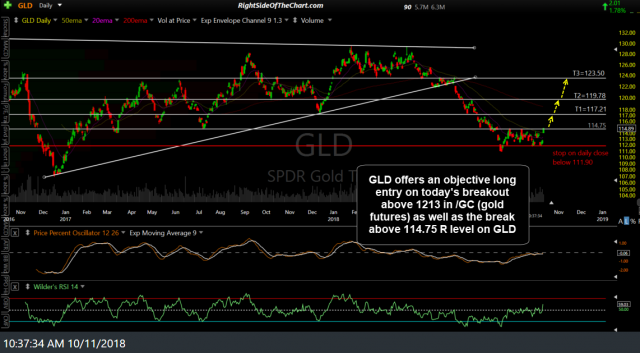 Yesterday’s pullback to the 114.75 area in gold also coincided with a pullback to that very technically signifant 1213 former resistance, now support level on /GC (gold futures) that was highlighting as a key breakout point on gold for weeks, if not months, leading up to the impulsive breakout back on October 11th when this GLD trade was entered. An update to this trade as well as the GDX active long trade can be view in starting at the 8:35 mark on yesterday’s video which can be viewed here. So far, gold & /GC have made a perfect kiss & reversal of those key support level with yesterday’s rally off support so far carrying forward into the early morning trading session.